Washington, DC - Sen. Bernie Sanders on Monday night defended Rep. Ilhan Omar, one of the first Muslim women to serve in Congress, against "outrageous, racist" attacks, while insisting again that criticism of "a right wing government in Israel" is not tantamount to anti-Semitism. 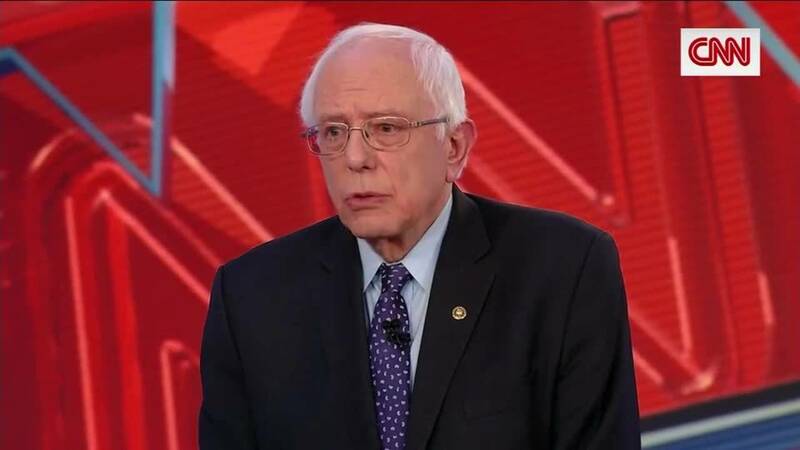 Speaking at a Fox News town hall in Pennsylvania, Sanders backed Omar -- who has come under fire in the past for using anti-Semitic tropes while criticizing Israel -- but also said she "has got to do maybe a better job in speaking to the Jewish community." Sanders, who would be the first Jewish president if elected in 2020, has argued repeatedly that the American government must take a harder line against Prime Minister Benjamin Netanyahu's government over its treatment of Palestinians. Netanyahu won re-election to his post, with the support of Israeli right wing parties, in an election last week. Asked about his support for Omar, Sanders, whose father came to the US from Poland, also spoke briefly about his relatives' deaths at the hands of the Nazis, saying those memories guided his view of the situation. "I will do everything in my power, and I hope that every member of Congress will fight not only anti-Semitism, but racism and anti-Muslim activity so that we create a non-discriminatory society," Sanders said. "But it is not anti-Semitic to be critical of a right wing government in Israel. That is not anti-Semitic." President Donald Trump on Friday posted an edited clip from a speech Omar, a freshman Democrat from Minnesota, gave to a California chapter of the Council on American-Islamic Relations last month, cutting in pieces of her remarks with imagery from the 9/11 attacks, and writing in his tweet, "We will never forget." Since then, Omar says, she has received an increased number of death threats. Sanders was the first 2020 Democratic presidential candidate to come to her defense in response to Trump's post, writing in a tweet of his own that "Ilhan Omar is a leader with strength and courage. She won't back down to Trump's racism and hate, and neither will we. The disgusting and dangerous attacks against her must end."